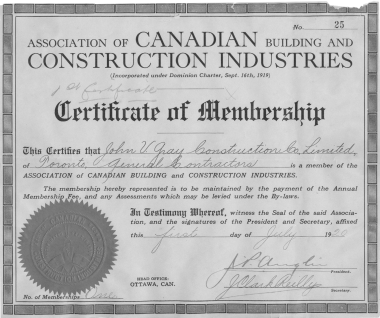 Canadian Construction Association (CCA) is founded. 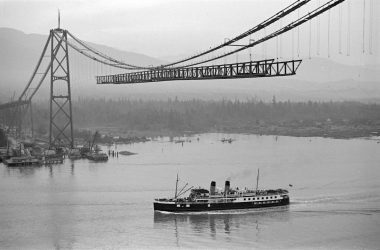 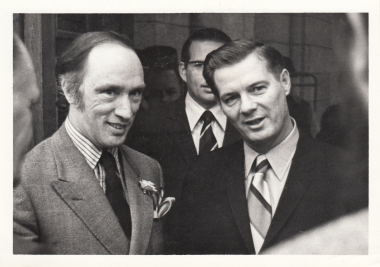 CCA partners with the Canadian government in a post-war restoration plan to rebuild Canada. 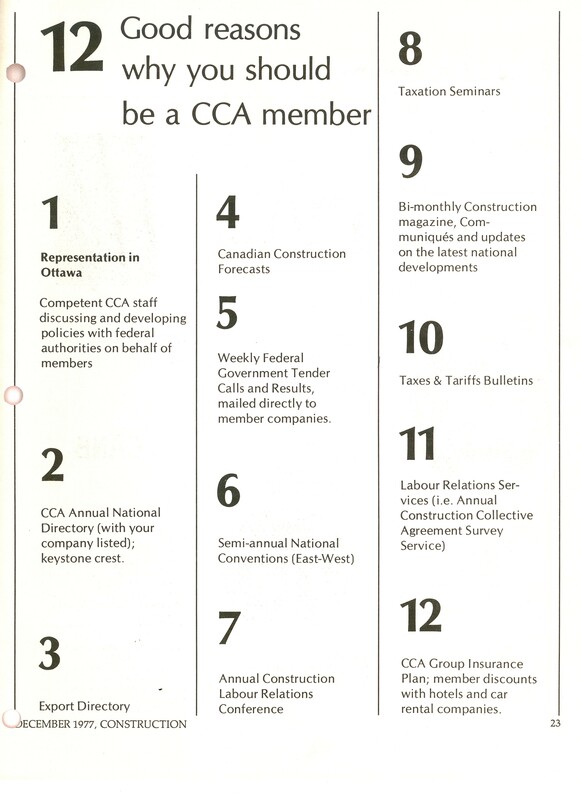 The first national standard construction contracts and forms are produced by CCA. 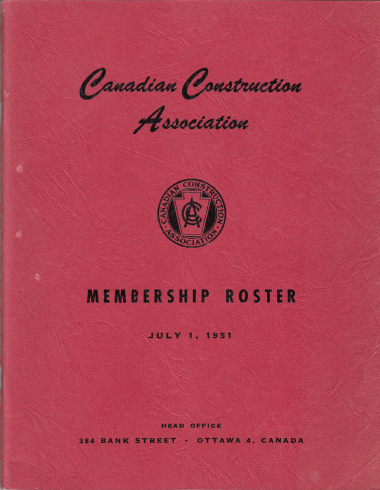 The apprenticeship training system for construction trades was first established in Ontario with help from CCA. 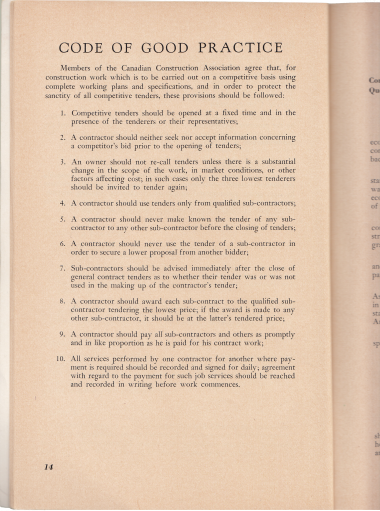 In 1927 CCA reported that over $1,500 existed in a special fund dedicated toward the organization of a scheme of apprenticeship training. 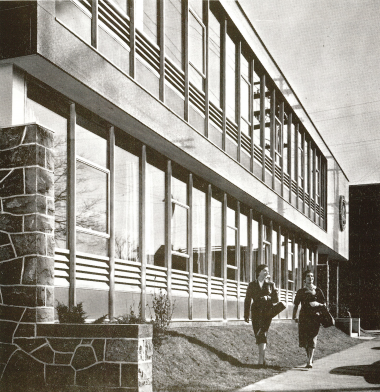 Toronto was selected as the location where CCA would first work with provincial technical schools and other educational authorities to explore the idea. 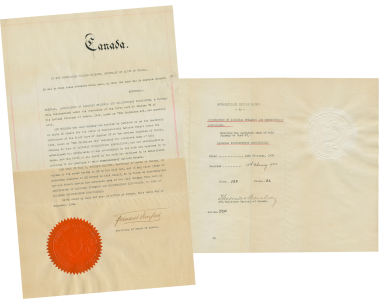 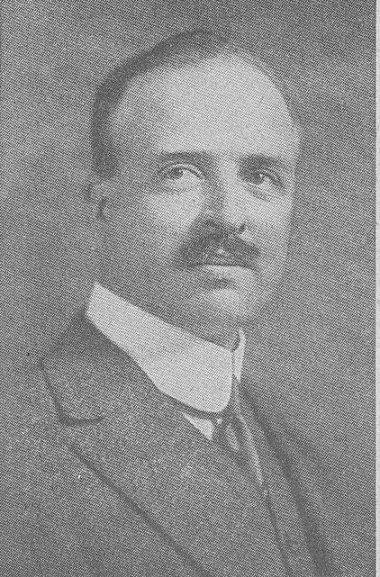 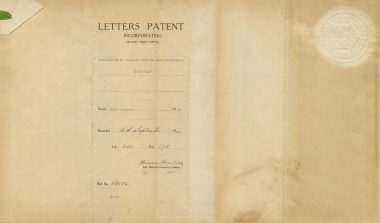 By 1928, the first apprenticeship training system was working in Ontario and the Ontario government was persuaded to pass the Ontario Apprenticeship Act. 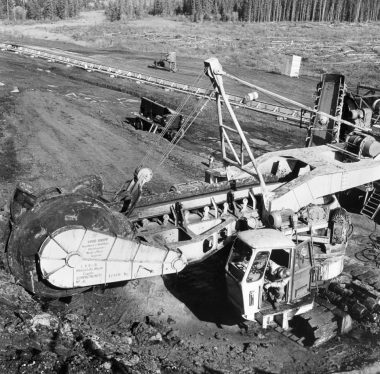 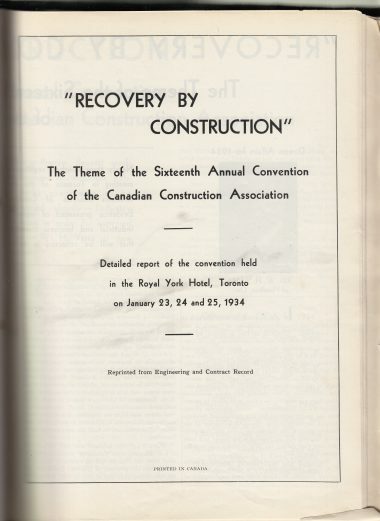 Under the theme Recovery by Construction, CCA convinced the federal government to kick-start the failing Canadian economy through a federal public works construction program (i.e. 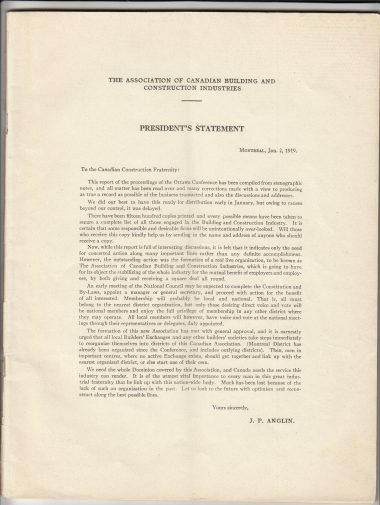 The Public Works Construction Act of 1934) that provided $40 million in public works projects, including many construction projects in Canada’s national parks and historic sites. 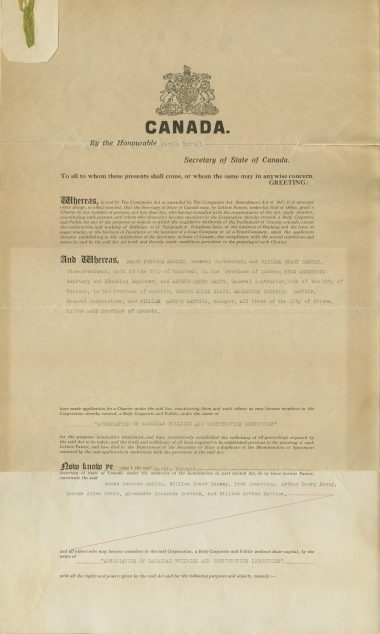 CCA’s efforts also led to the enactment of the Dominion and National Housing Acts. 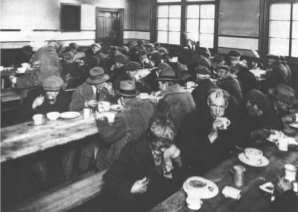 The Dominion Housing Act of 1935 was to assist in the improvement of housing conditions and in the absorption of unemployment by stimulation of the construction and building material industries. 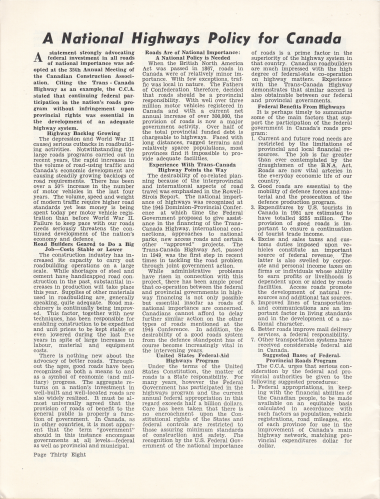 The National Housing Act of 1938 promoted the construction of new houses, the repair and modernization of existing houses, and the improvement of housing and living conditions. 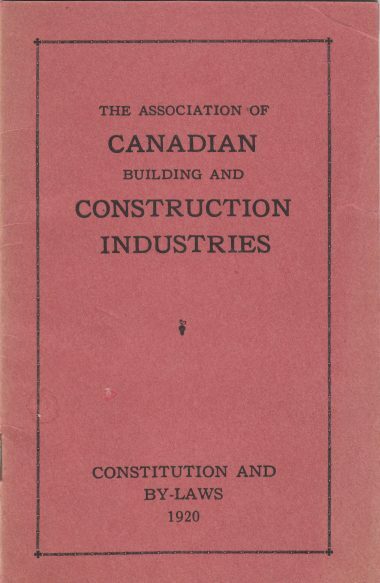 During the Depression, CCA also formed the National Construction Council, which included the Engineering Institute of Canada, the Royal Architectural Institute of Canada, CCA, and other national organizations. 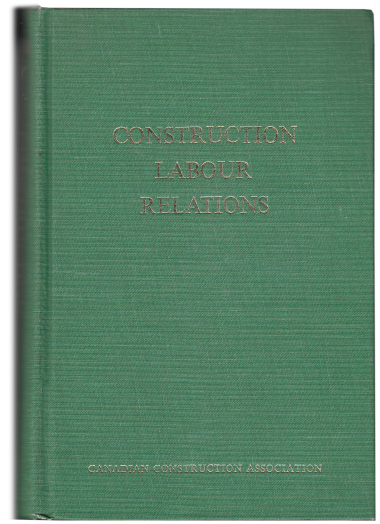 The council was initially charged with coming up with recommendations as to how to enhance employment in the construction industry and how to enhance the construction market in Canada. 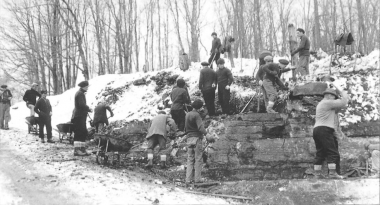 In addition, to ease the unemployment situation, CCA pioneered the idea of winter construction. 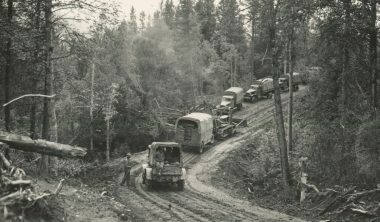 Until the early 1930s, construction essentially halted in November. 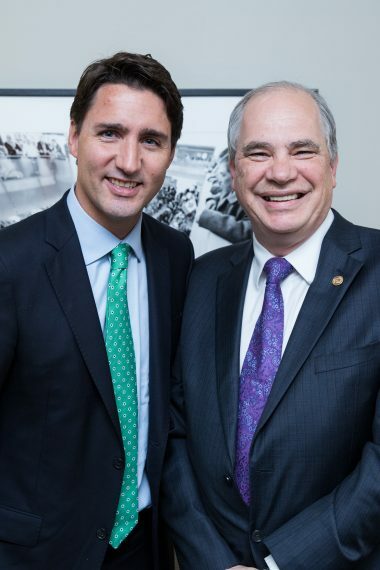 CCA is an active participant in the creation of Canada’s Unemployment Insurance Program. 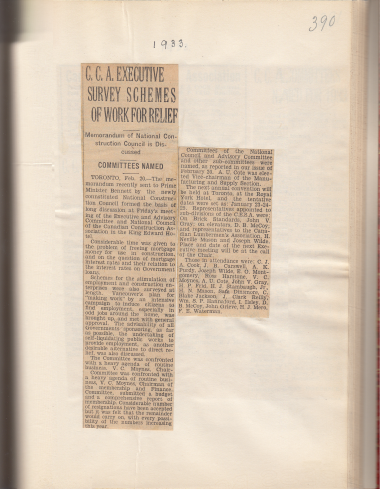 CCA was a long-standing member of the federal government’s Unemployment Insurance Advisory Council. 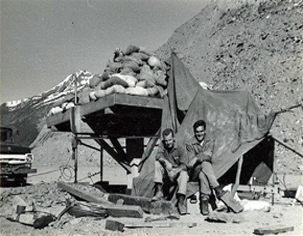 During the war year, CCA partnered with the federal government to support Canada’s war efforts through critical war-time defence projects. 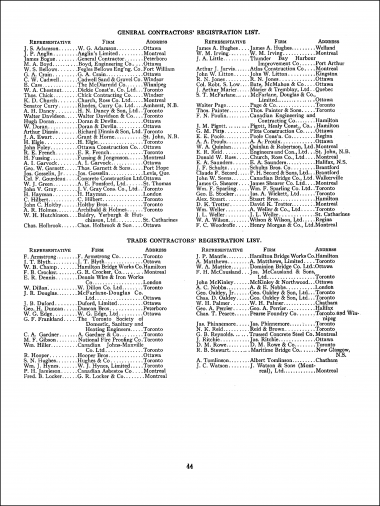 By 1947 construction volume topped $1 billion for the first time. 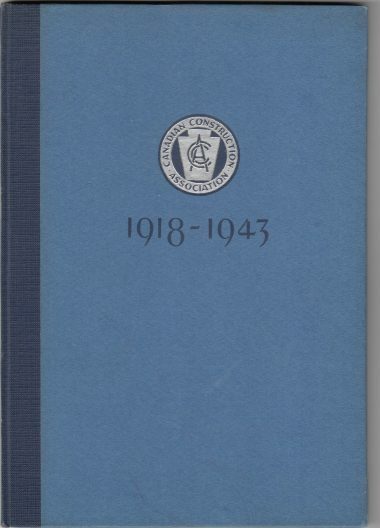 By 1948 it reached over $2.5 billion. 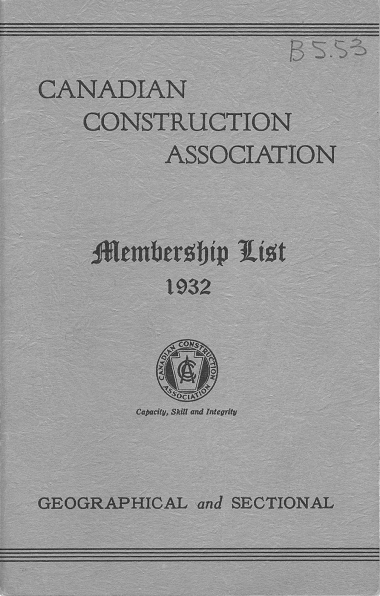 CCA works with the federal government in a post-World War II reconstruction effort including the retraining and employment of veterans within the construction industry. 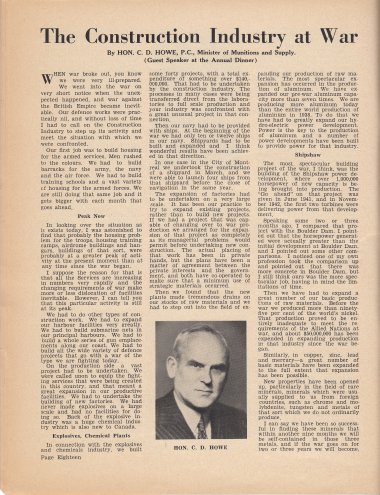 The CCA Advisory Committee on Materials to the Federal Government greatly helped to overcome post-war shortages. 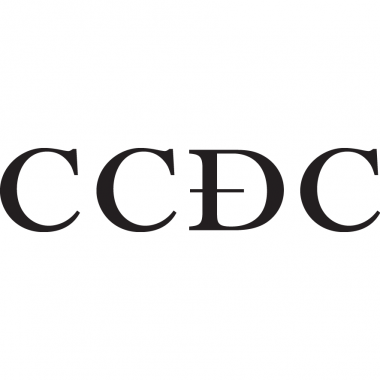 CCA introduces the first national industry Code of Practice. 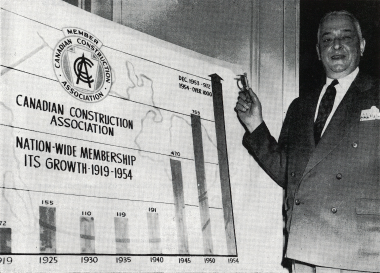 Lorne Bain, chairman of the CCA membership committee, with a membership chart. 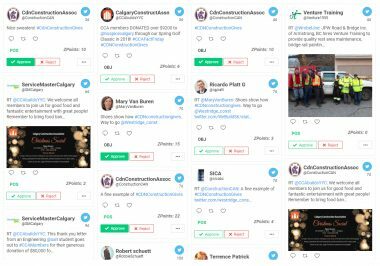 CCA opens Construction House showcasing new construction materials and methods. 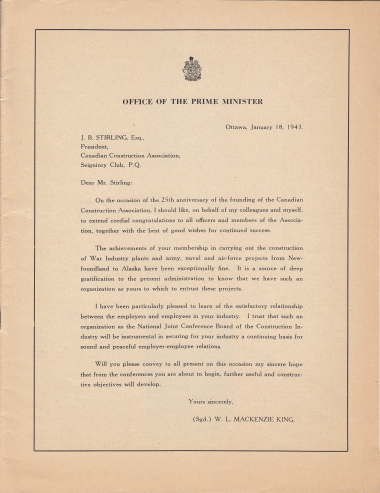 CCA’s Canadian Centennial Project included commissioning a special series of studies on labour relations in the construction industry. 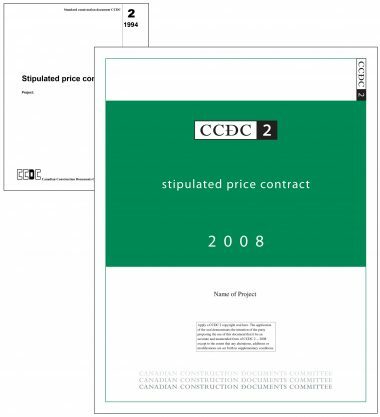 This led to the publication of a 670-page report authored by John Crispo and Carl Goldenberg that laid the groundwork for province-wide bargaining and the development of single bargaining agencies for employers in most Canadian provinces. 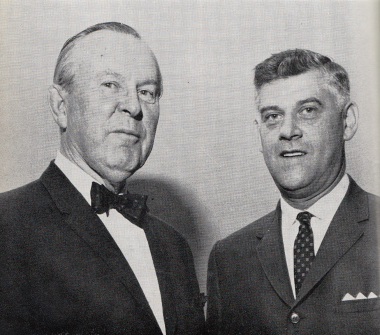 Prime Minister Lester B. Pearson is shown with (l. to r.) Armand Trottier, Quebec City, Que., CCA president after the presentation of the Canadian Construction Association’s to the federal government on June 23, 1966. 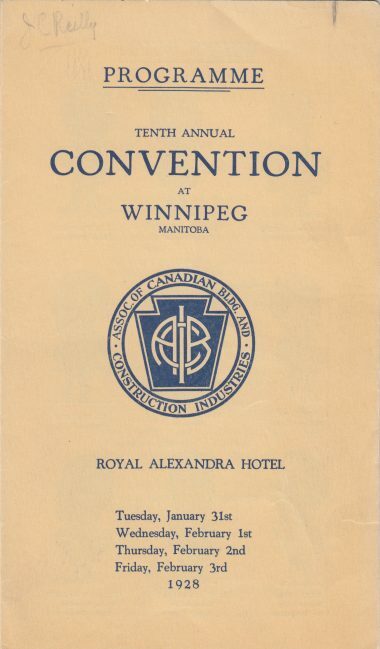 CCA 50th anniversary. 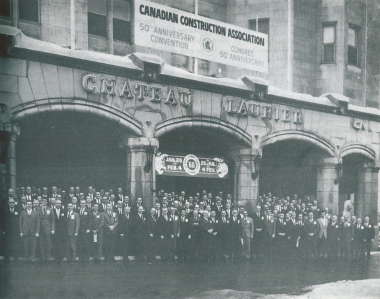 Some of the delegates attending the CCA’s Golden Anniversary Convention, 1968. 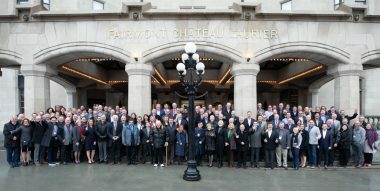 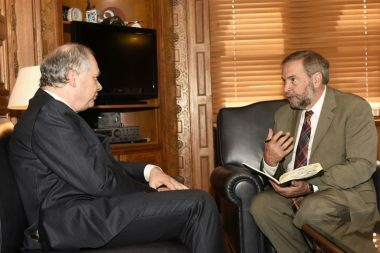 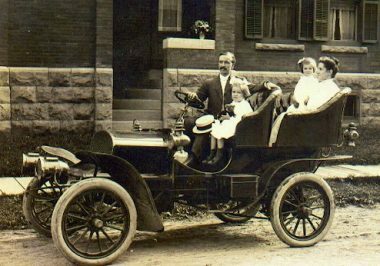 A similar picture was taken on the steps of the Chateau Laurier on the Founding Convention in 1918. 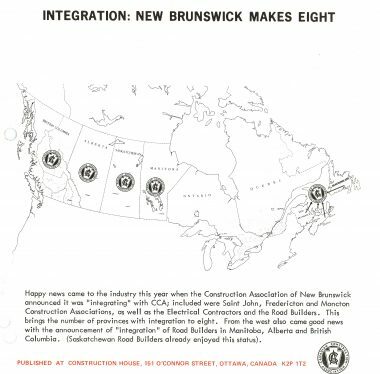 CCA’s calls for metrication of the construction industry in Canada lead to “M-Day” on January 1, 1978. 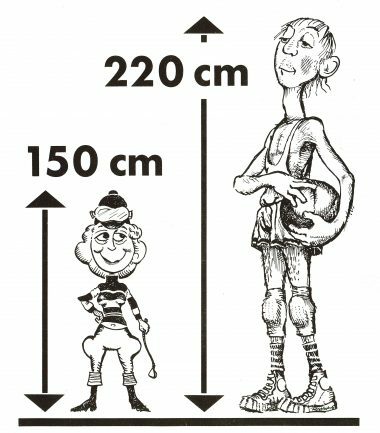 Metric conversion ad 1974. 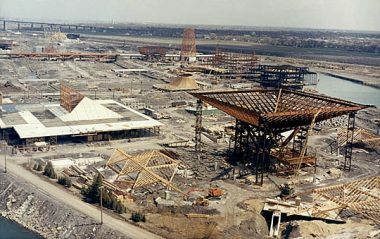 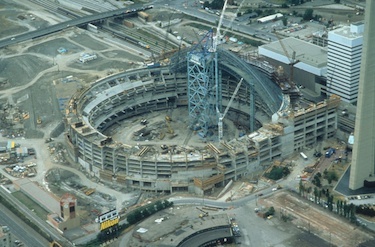 Construction goes metric January 1, 1978. 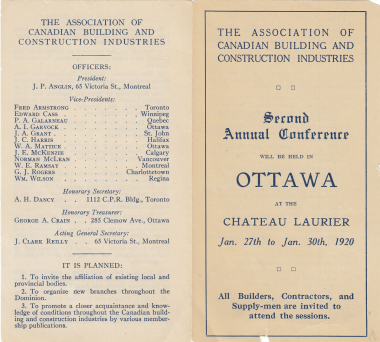 It was the first day of the Metric Construction Year in which the Canadian construction industry would work mainly in the SI (système internationale). 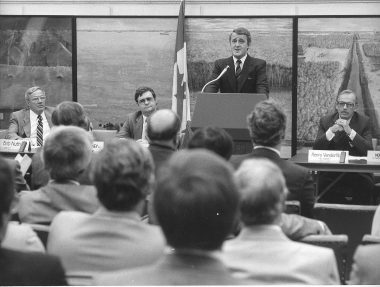 Illustration courtoisie de la Commission du système métrique, Ottawa. 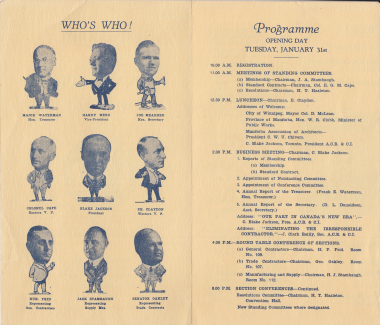 Artwork courtesy Metric Commission, Ottawa. 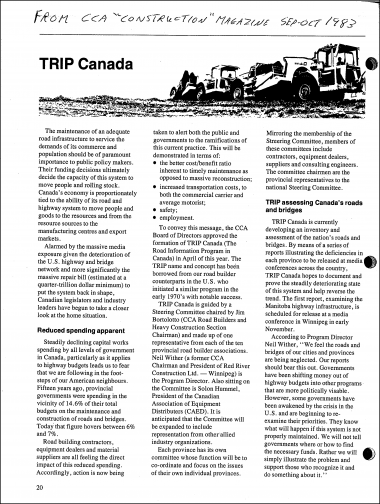 CCA brings “TRIP- The Road Information Program” to Canada, 1983. 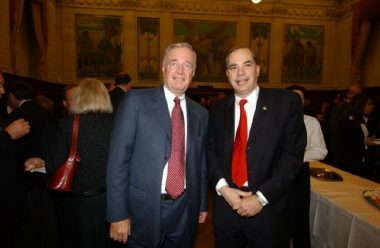 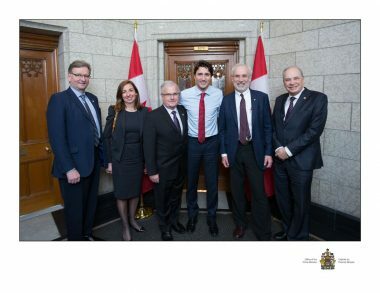 Prime Minister Mulroney meets with CCA. 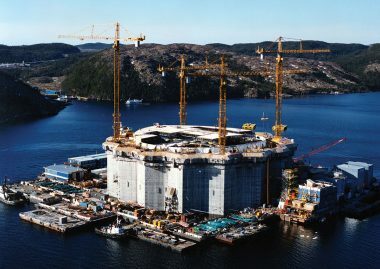 CCA simplifies the transition to GST for the construction industry. 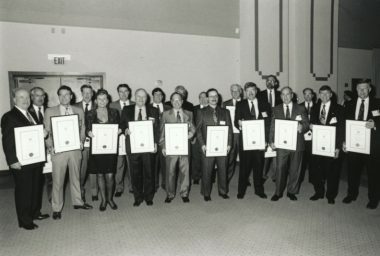 In 1991, CCA increases its support for industry professionalism, taking over the Gold Seal Certification program. 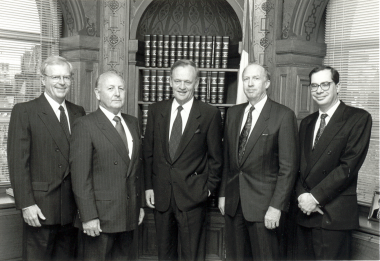 Prime Minister Jean Chretien meets with CCA. 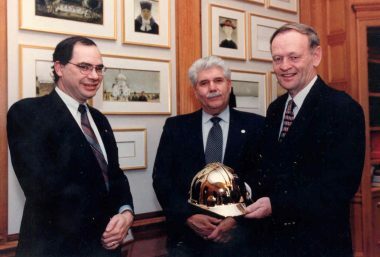 Prime Minister Jean Chretien received Honourary Gold Seal Certificate in Project Management for Jobs Infrastructure Program. 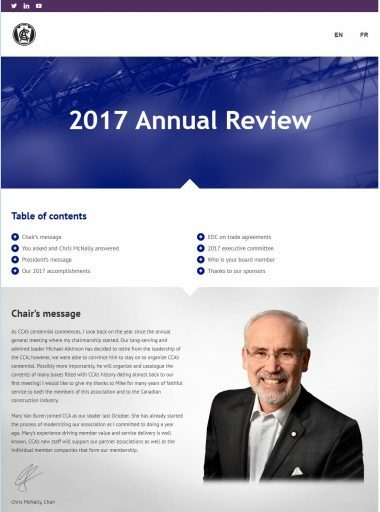 CCA establishes the Canadian Design-Build Institute to promote best practices to enhance the design-build method of project delivery. 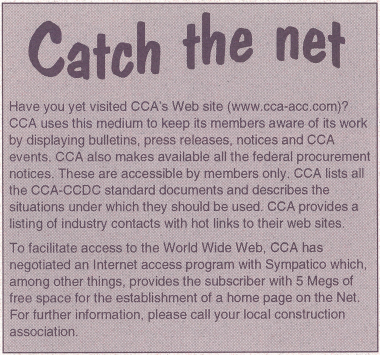 January 2009 article about CCA’s Dragon’s Den appearance. 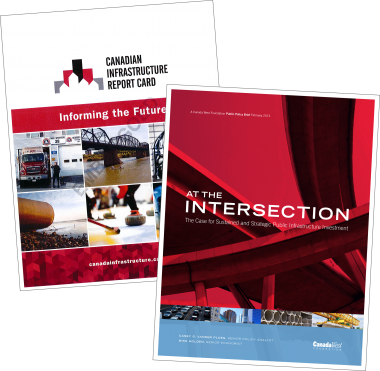 CCA helps to convince federal government to opt for infrastructure investment as the central theme of its economic stimulus plan following the recession of 2008 – 2009. 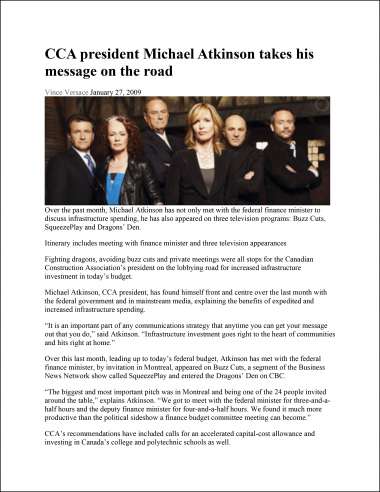 This included the CCA president participating in a special edition of the CBC’s Dragon’s Den television show that aired January 21 and 23, 2009. 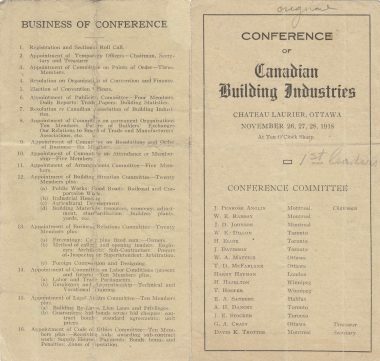 CCA is a co-founder of the Institute for BIM in Canada established “to lead and facilitate the coordinated use of building information modeling (BIM) in the design, construction and management of the Canadian built environment. 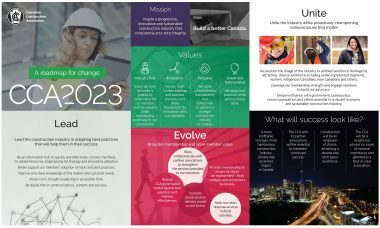 CCA establishes CCInnovations to provide the necessary framework to enhance industry-wide collaboration for innovation in the construction industry, with the aim to increase competitiveness, productivity and financial performance. 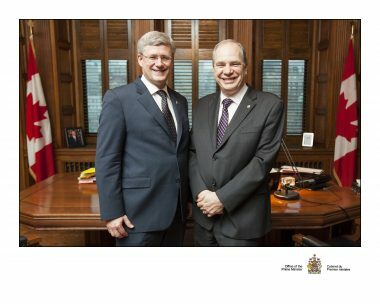 Reflecting the strength of the industry, CCA conducts one-on-one interviews with the federal party leaders during the federal election campaign. 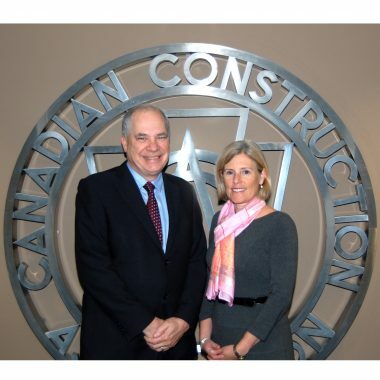 CCA also establishes the Lean Construction Institute of Canada as a special committee of the CCA to help transform the building industry by making a difference in how projects are planned, designed and managed in all forms of project delivery. 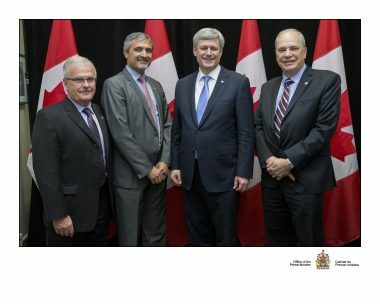 Prime Minister Harper meets with CCA. 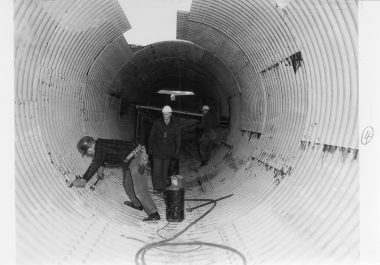 CCA’s lobbying brings infrastructure’s importance from obscurity to prominence.